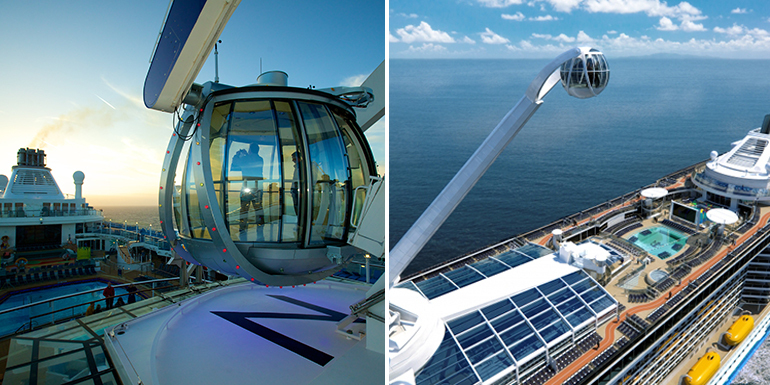 Royal Caribbean's newest ship, Quantum of the Seas, has a bevy of never-before-seen twists that are pleasing devotées of mass cruising. Yep, they had us at “as fast as on land.” Finally, a cruise line is investing in making it possible to have the kind of speedy, reliable Internet access we crave on our cruises. The result: You can even stream videos, which means you don’t have to wait until you get home to catch up on your favorite TV shows if you don’t want to. 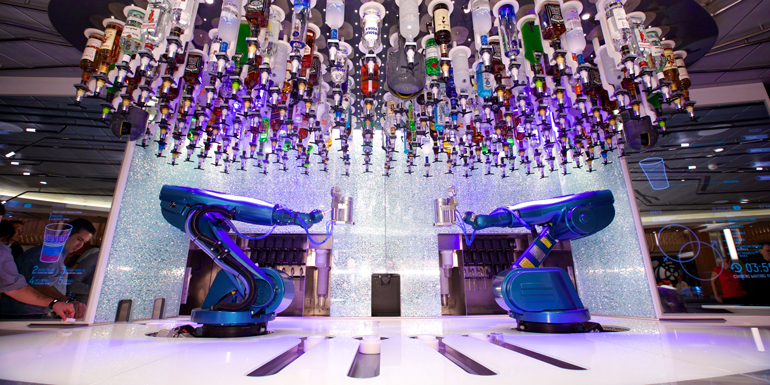 Bionic Bar will have two robot bartenders. While that may not mean that you never have to wait for a drink again, it will make the process of waiting a bit more fun. Type your order into a tablet, and watch the robotic arms mix your libation of choice. The kid in us jumped for joy when we heard this one. 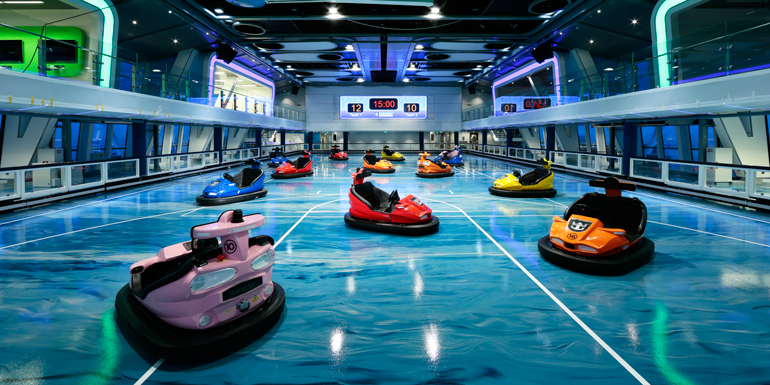 We’ve long said that Royal Caribbean ships are a bit like an amusement park at sea — and, since earlier builds have carousels and the like, bumper cars may have been the only thing missing. The RipCord by iFly experience is so intense, you may need to learn the hand signal for getting out early. Sign up for this (free!) activity, and you get to don a flight suit and take a training class beafore getting into that glass tube pumped full of air. 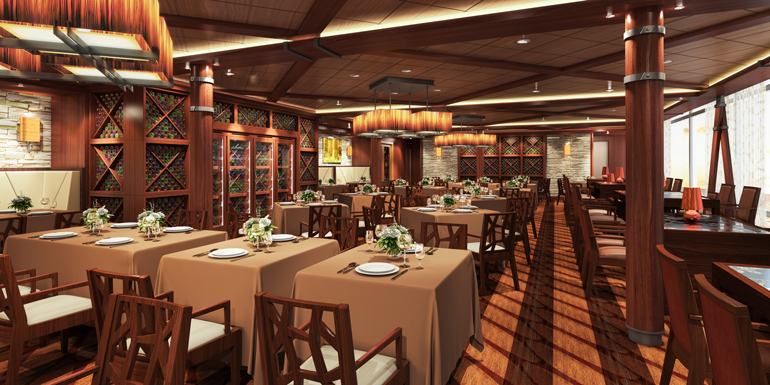 Instead of one or two massive dining rooms with assigned tables and seating times, Royal Caribbean is launching a new concept: five smaller dining rooms with open seating and different menus and décor. 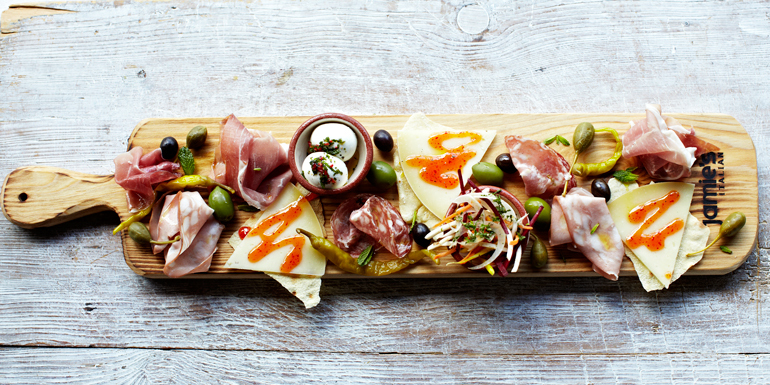 Since we’ve always heard that the biggest impediment to upping the quality of the nonspecialty fare on mass-market ships is the sheer volume of dishes that have to be put out in each spot, we’re excited to see whether this really is a game changer. We never get stoked about the designs of nightclubs and lounges on ships, but Two70 is in a class of its own. The cruise line spent more money on this space than it did on building whole ships in the past. Some of that cash went toward designing the first column-free space, resulting in a dramatic area that doesn't have a bad seat in the house. 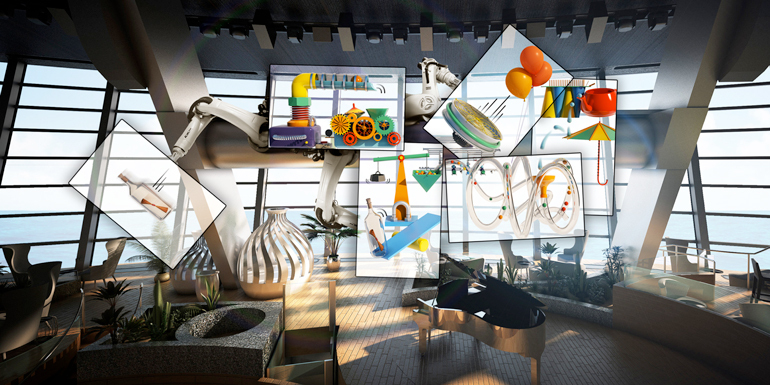 In addition, six robots outfitted with LCD screens contribute to the evening entertainment. Behind that, three-deck windows offer dramatic views of the sea and can be covered with screens for wild shows that include aerialists descending from the ceiling and performers rising up from the floor. 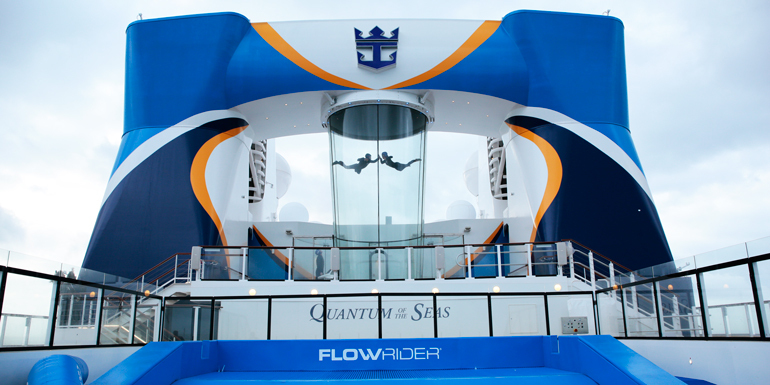 This space is more Las Vegas-style than anything we’ve seen at sea yet. 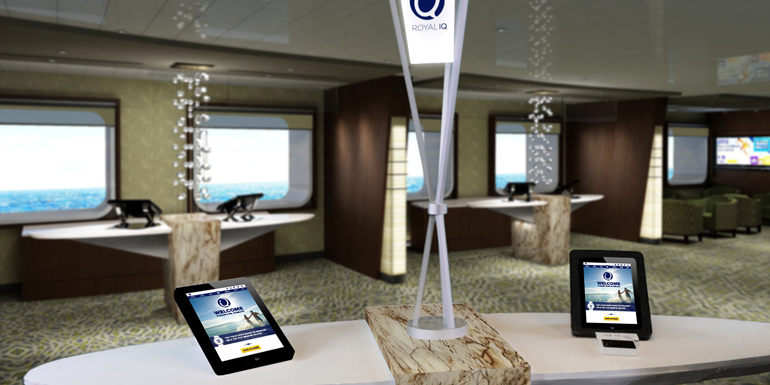 By using the information that you enter into the computer system before you board, Royal Caribbean has made the check-in process even faster. The line promises 10 minutes from the curb to the ship, which would be a first for us. 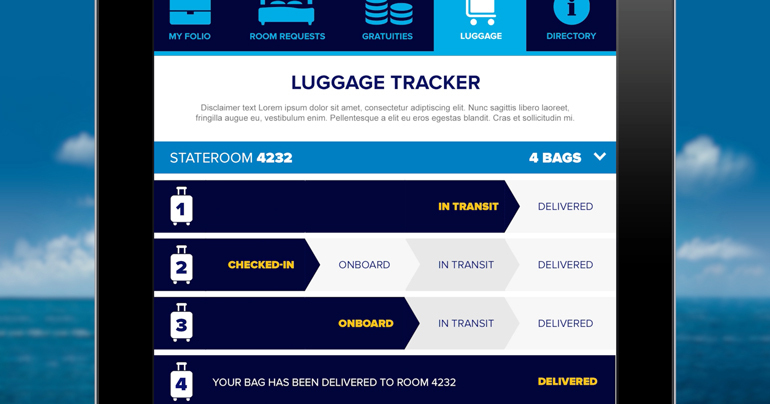 Better still: It’s created an app that lets you track when your luggage arrives in your room. The North Star capsule is part amusement park ride, part viewing platform — and it’s free. Sign up for your time slot (we suggest sunset, naturally), and you can walk into the 14-person “pod,” which then moves out 300 feet over the sea. It’s hard to tell exactly what the experience is like before we get to try it ourselves, but at the very least it will offer amazing views of whatever port you happen to be in. When I found out that the man running food and beverage was the first American to work at the revolutionary Spanish restaurant El Bulli, I became quite excited about the food on this ship. 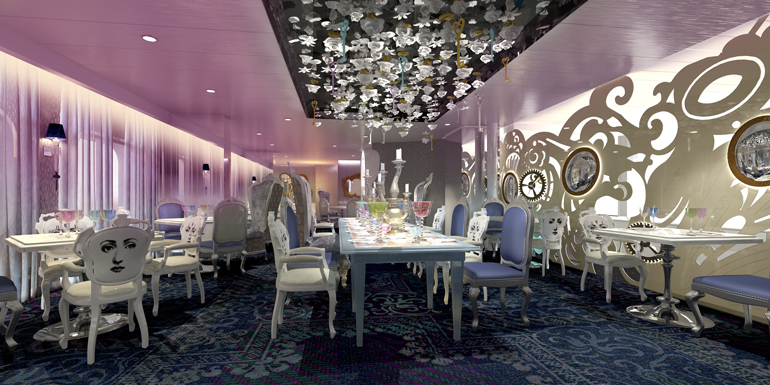 Then I heard Wonderland described as a Tim Burton-esque experience, and I think if Royal Caribbean can pull that off, it may turn out to be one of the most fun restaurants at sea. The décor is truly whimsical and playful, the restaurant encouragingly small enough to pull off feats of molecular gastronomy as the chefs use science to create what I hope will be great-tasting food. After you see a show with acrobats in Two70, you may be in awe of their skills. The good news is you can learn how to fly through the air yourself. Classes take place in the SeaPlex space and may just spark a lifelong passion — or at least make you appreciate your next circus show in a whole new way. Because the ship is scheduled to move to the Asian market next year, Royal Caribbean has made some tweaks to its onboard venues in order to serve the local tastes. One big highlight: better shopping. Look for a Kiehl’s and Cartier.